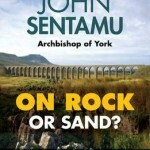 The Second Church Estates Commissioner (Sir Tony Baldry): The central argument of “On Rock or Sand” is that we should seek to enhance the well-being, and the personal and communal flourishing, of all in society, and to seek the common good—or the “common profit”, as the book calls it—and that no one should be left behind. These are principles entirely in accord with the objectives of the Church Commissioners. Miss McIntosh: I am sure the whole House would wish to congratulate my right hon. Friend on being made a lay canon of Christ Church cathedral, Oxford, this weekend. This is only the first or second occasion on which a Second Church Commissioner’s work has been recognised in this way. I heartily congratulate my right hon. Friend. May I ask him to turn his big gun on my question? [Laughter.] Does he agree that when money rules, we remember the price of things but forget their value, and that while retail therapy has a role to play, everything should be done in moderation? Mr Speaker: In congratulating the right hon. Gentleman on his new elevation, I can say only that the House is in a state of eager anticipation to witness his big gun. Sir Tony Baldry: Thank you very much, Mr Speaker, but we have heard quite enough weightist comments. I note that Quentin Letts described me yesterday as some sort of human shield for Prime Minister’s questions. This is an excellent book. 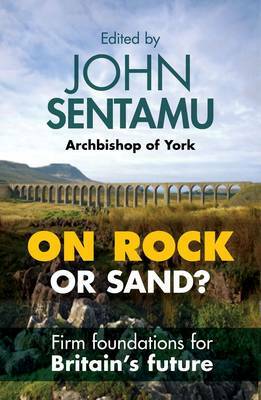 I commend it to every colleague as Lenten reading, and I shall put a copy in the House of Commons Library. I think that colleagues should read it because many of the commentaries were written by people who had not read the book, but were simply commenting on what other commentators had said. That started with one journalist quoting from it selectively. I think that everyone in the House wants no one to be left behind, and that the essays in this book are well worth all of us reflecting on. “a tale of two cities”. The latter comment is certainly true of Bristol, where we still see huge economic divides. What work is the Church of England doing with politicians to try to rectify that? Sir Tony Baldry: The Church of England is working hard to develop the common good in every community, including the diocese of Bristol. I think that we all owe it to ourselves, our families and the communities in which we find ourselves to promote the common good, and that that is a responsibility for all of us. However, if the hon. Lady thinks that the book argues in favour of a larger welfare state and more state dependency, I must tell her that it most certainly does not. That is why I suggest that every colleague read it properly and in full.